The ESA's Sentinel-5P satellite, designed to measure the levels of air pollution on Earth, is already showing scientists how large the cloud of pollutants has become. 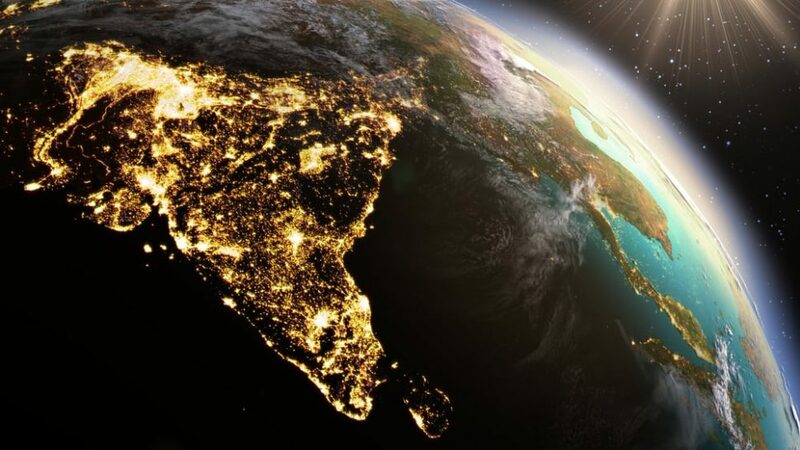 Satellite images from the ESA’s Sentinel-5P shed light on the alarming quality of the air over India and other South Asian countries. We regularly hear of rising problems of air pollution around the globe and the adverse health effects that come with this problem. Just a couple of days ago, researchers at the Washington School of Medicine in St. Louis discussed the substantial contribution air pollution is making to the diabetes pandemic in the world. It’s not that only now researchers found evidence of such a link, but now they have the numbers. According to the study’s findings, about one in six of all new diabetes cases worldwide (3.2 million new cases in 2016) are attributed to outdoor airborne pollutants. Because making a drastic and large-scale shift that would root out pollution is at least challenging, monitoring air quality is the least that can be done. Atmosphere-observing satellites, like ESA’s Sentinel-5P, are proving to be valuable tools that provide real-time and constant data flows about air quality. As part of the Copernicus program, the European Space Agency (ESA) has launched a satellite fleet under the name of Sentinel dedicated to the observation of Earth. Sentinel-1 is a pair of satellites for the monitoring of land and ocean. Sentinel 2 and 3 focus on land and marine monitoring respectively. Launched in October of last year, the Sentinel-5P (or Sentinel-5 Precursor) has a seven-year mission to bridge the gap in data between the retired ESA’s Envisat and NASA’s Aura mission. Sentinel-5P was designed to document and map atmospheric pollution over different parts of the globe and monitor the chemistry of the planet’s atmosphere. Pictures and data from Sentinel-5P and the whole fleet of Sentinel satellites have greatly increased the capabilities of monitoring the natural patterns of the Earth. The imagery of Sentinel-5P is of unprecedented detail levels thanks to TROPOMI, the advanced Dutch-made spectrometer on board. TROPOMI (Tropospheric Monitoring Instrument) has a resolution of up to 7 km x 3.5 km, which makes the detection of air pollution over cities possible. Recent imagery from Sentinel-5P of the atmosphere over South Asia demonstrates the crucial role that the observation of Earth from space can play in the investigation and preservation of the environment. In November 2017, Sentinel-5P measured the pollution levels over India’s capital, New Delhi. But now, new findings reveal the alarming extent of the pollution and deteriorating air quality in the country, with only north-west India seeming to be relatively spared. Sentinel-5P data revealed in a picture shows high concentrations of formaldehyde in the air over India. Formaldehyde is a naturally occurring carcinogenic substance that can be released into the air by vegetation or can form during any combustion process, such as wildfires. Other countries in South Asia, as well as other regions of the planet like Subsaharan Africa and African countries lying around the Equator, also show similar levels of formaldehyde presence in the air. The U.S., Latin American countries, China, Australia, and some European countries are also caught in the formaldehyde mesh, though not as “red” as the one in India. However, this colorless gas can also be generated by human activities, which is especially true in the case of India where people rely heavily on burning wood for cooking and heating. This new data, imagery, and insight could help Indian policy-makers take better-informed decisions when tackling air pollution that’s suffocating the country. India and other countries affected by air pollution need to act fast and clean up what they can from the atmosphere as the situation doesn’t leave much room for error. In a report they call the “Airpocalypse”, Greenpeace estimates that each year, 1.2 million Indians lose their lives, and 3 percent of GDP loss on top of that, to air pollution. How can developing countries improve their chances of fighting the problem of air pollution?